We bring to your attention this incisive analysis by Prof James Dorsey. It should be noted that historically the Uyghur affiliates of Al Qaeda have been covertly supported by U.S. Saudi Arabia and Pakistan. 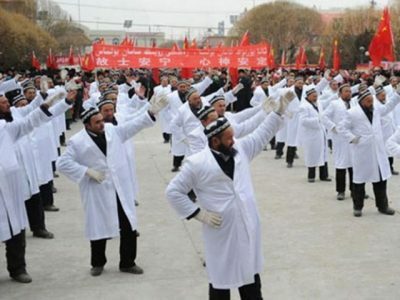 Until recently, Pakistan’s Inter-Services Intelligence (ISI) in liaison with the CIA has played a key role in channeling support to jihadist groups in the Xinjiang Uyghur Autonomous region (XUAR. 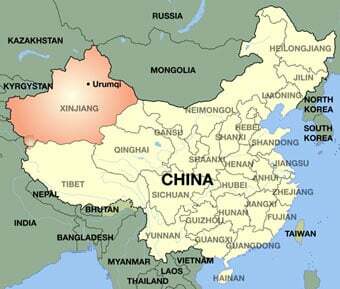 XUAR has a narrow border with Afghanistan (see map below). Support out of Pakistan, however has in large part been cut off as a result of the development of Pakistan’s bilateral relationship with China. “You have to think about this in terms of the larger negotiations over Chinese assistance to reconstruction. Syria doesn’t have the money, Russia doesn’t have the money. China has a stake in the fighting.” It also has the money. This article was originally published on the author’s blog site: The Turbulent World of the Middle East Soccer.